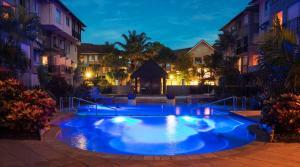 Great Location- Beautiful spacious 3 bedroom unit- Nice gardens, pools & facilities also very well maintained. Great location, 8 mins to airport and few mins drive to main city, friendly staff, spacious 3 bedroom with well equipped apartment, easy access to pool. Good tie up with different tours. Reef experience day tour was the best day spent at reef. a good location, clean room, good swimming pool, and friendly stuff. The staff were really friendly and very open for a conversation and willing to help. It made the trip a little bit easier. Spacious, clean apartment with everything you need. Calm and collected space with a nice balcony. The resort has some nice pools too and is close to the centre. 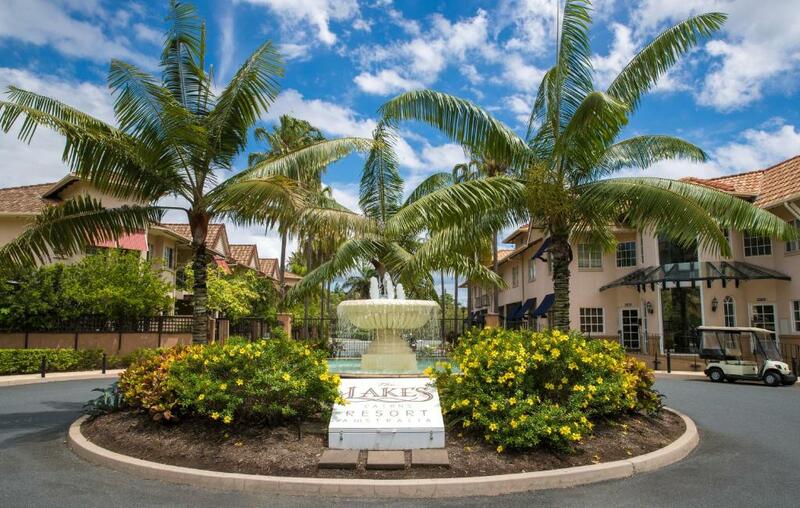 We stayed at The Lakes before & enjoyed the experience & had no hesitation booking a second stay. We intend to use this resort on our future visits as it more than suits our needs. Staff were friendly. The apartment was spacious and clean. Secure parking was great and it's only a short drive into the main shopping and restaurant areas. 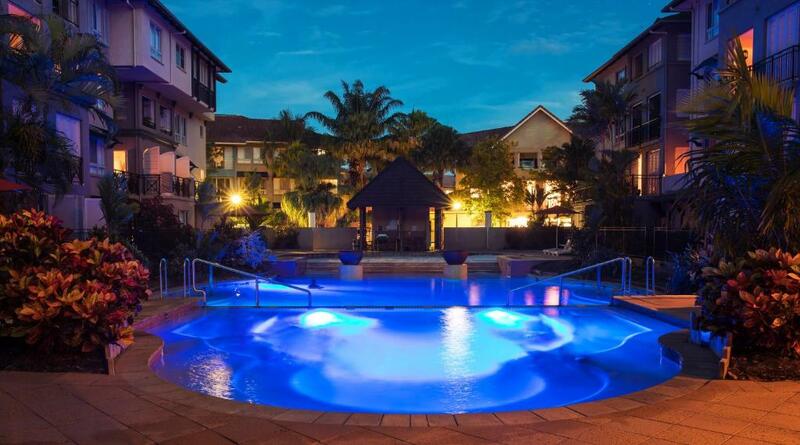 The Lakes Cairns This rating is a reflection of how the property compares to the industry standard when it comes to price, facilities and services available. It's based on a self-evaluation by the property. Use this rating to help choose your stay! 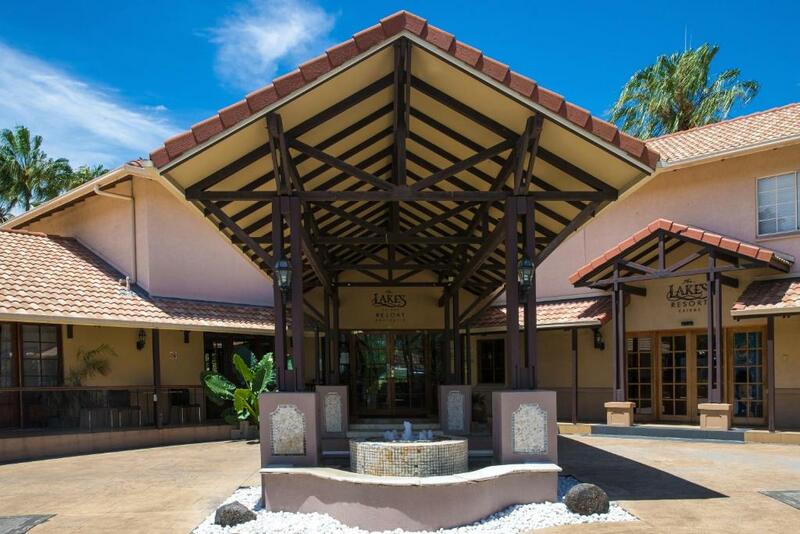 This luxury resort offers spacious luxury apartments set among lush tropical gardens. Facilities include 4 luxurious swimming pools, a sauna and a tennis court. The Lakes Cairns is located next to the Cairns Botanical Gardens. Cairns City Center is only 7 minutes' away. When would you like to stay at The Lakes Cairns? Spacious self-catering apartment, with full kitchen and laundry facilities. Spacious self-catering apartment, with full kitchen and laundry facilities. Features a very large lanai-style balcony for dining or relaxing. Spacious self-catering apartment, with full kitchen and laundry facilities. This apartment features 2 bathrooms and lanai-style balcony with views of either gardens or pools. Spacious self-catering apartment, with full in-room kitchen and laundry facilities. Includes 2 bathrooms and a veranda for dining or relaxing. The award-winning The Lakes Cairns Resort is a fully integrated 4½ star Cairns Resort, set on 11 acres of tropical gardens. 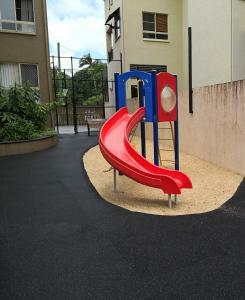 Located just minutes from the CBD and adjacent to the Botanical Gardens. Holiday at your own pace. Stroll along the Boardwalk or relax at one of the four luxurious swimming pools, visit the sauna or play a game of tennis. Also just around the corner we have "The Botanic Gardens" epitomises the diversity of tropical flora that can be found across the world's tropical regions including plants from the steamy jungles of South East Asia, South America, Africa and of course Far North Queensland. House Rules The Lakes Cairns takes special requests – add in the next step! 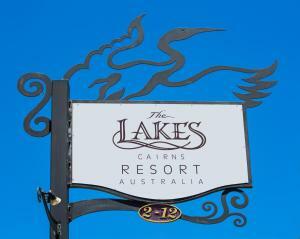 The Lakes Cairns accepts these cards and reserves the right to temporarily hold an amount prior to arrival. Please note that housekeeping service is only offered weekly. Extra services charges will apply accordingly. Please contact the property for more information using the contact details found on the booking confirmation. Please note that there is a 1.5% charge when you pay with a Visa or Mastercard credit card, or a debit card. Both our Tv,s did not work on arrival and the tap in the bathroom was leaking which would have been noticeable by the cleaner before our arrival as it was very noticeable as soon as we went to the bathroom. Breakfast was excellent-there is no room service on the room for the whole 4 days-so no extra toilet paper and we had to remove our own rubbish for the price we paid this is a little poor. Attention to detail, mostly quite clean, but mattress protectors needed washing, some pillows were stained, so upgrade with linen would be good. No recycling for bottles etc. The washing machine needs to be replaced. Apartment and large pool were very dated not a lot of furniture in apartment which made it loud and echoey. Hallway of building block had a terrible odour. No reception available when we arrived early afternoon. We didn't see the restrurant open while there would of been nice to eat there. The space the Apartment had was amazing. The restaurant has very restricted menu, same very limited breakfast menu every morning, when u have paid for 5 days breakfast last few days we didn’t even bother to go🙁 Limited dinner timings with little choice, not much for 2 of us who were vegetarians. Not much. We are both in our seventies & found it a bit difficult getting in & out of the bath which was deep to step into for our daily showers. Kitchen facilities could be better. Well located and good pool facilities. Not very clean. Unit looked like it needed a good scrub. Hair in the bathrooms, and the balcony was filthy. Location was great for our purpose.